A student advisor is someone on school staff - a teacher, a librarian, or an administrator who provides a student or a group of students with guidance on their personal and academic goals. This is done using individual and group meetings. Students require the emotional and social support that advisory provides at this critical time of adolescence. At NYMA, all attempts are made to keep advisory groups small so that they function best; most instructors manage between 6-10 students. What are the benefits of student advisory? Through an advising group, each student becomes part of a “built-in” peer group that provides security for new and returning students alike. In general, the advisee moves through the academic program having the same advisor. This allows the advisor, advisee, and advising group to develop a level of trust and understanding required to help the student to progress through potentially difficult and challenging situations. This comfortable group can help build a student’s self-esteem and offset negative influences. 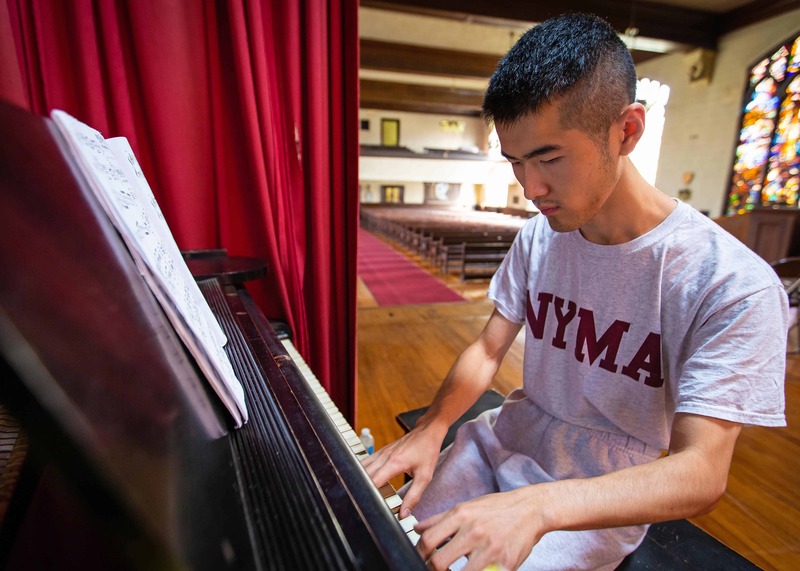 What is the focus of NYMA’s student advisory program? Each NYMA advisor will have a diverse group of students, often across several grade levels. The focus and requisite tasks will vary.